The last few years have solidified San Antonio's status as a city on the rise -- especially if you’re looking at the restaurant scene, which we always are. While certain local favorites will forever hold our hearts (looking at you, Rosario's), 2018 saw a handful of restaurant openings that immediately leapt to the front of the "eating here three nights in a row" pack. These intriguing new restaurants are serving dishes ranging from brisket banh mi to creamy, spreadable burrata, and because you're lucky enough to live in the Alamo City, you owe it to yourself (and to Davy Crockett, probably) to try every single one of them. 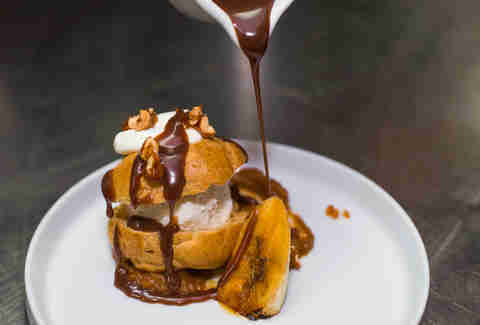 Opened in June of 2018, Spoon Eatery knocks the whole "everything on the menu is excellent" thing out of the park; even the humble bread basket is elevated, with a side of butter styled to look like a tiny potted plant. Pay particular attention to the rich lobster bisque and the custom pasta -- you can mix and match your pasta of choice with sauces like three cheese, marinara, or pesto, which basically means you should get one of each for the table. Make sure to make reservations for any weekend visits, as the place can (understandably) fill up fairly quickly. The original Dough opened in 2007, kicked off the Alamo City’s love of truly fresh gourmet pizza back in 2007. 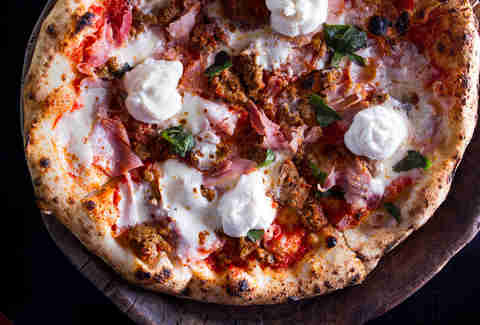 The second (and highly anticipated) location just opened up in Hemisfair, and is not only living up to the original, but bringing a whole new facet to the eating experience; while Dough's obviously well known for pizza, it’s the freshly pulled creamy mozzarella and burrata where this place really shines. The experience of digging your spoon into a lump of fresh burrata cheese, and piling the cream in the middle on a piece of hot bread (with a bit of vinegar on top) is nothing short of religious. 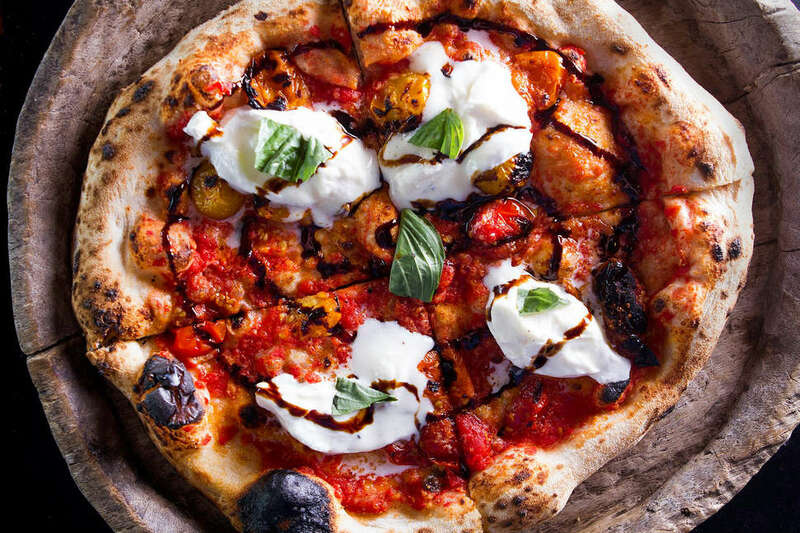 There's plenty of outdoor seating as well, where you can munch on pizza, drink Italian wine, and watch city life go by without making too big a dent on your bottom line. Although Carnitas Lonja initially opened in 2017, code disputes forced it to close shortly after, leading to a rebirth as it opened again in early 2018. This time, the secret's out -- the eatery attained national prominence this year thanks to shoutouts in Esquire, Eater, and Bon Appetit. 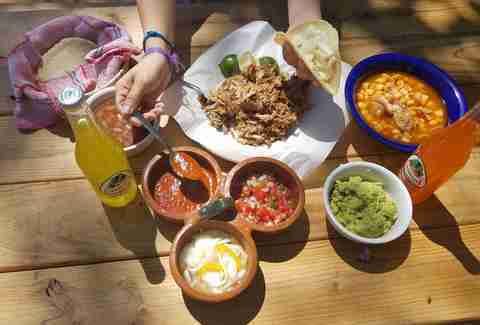 The café itself is small and unassuming (as so many of the best places are), but the corn tortillas are fresh and hot, and the pork carnitas are succulent, juicy, and just what you need in the middle of a work week. The hype is real, in other words. You can avoid long lines if you stop by on a midweek morning, but given the national media attention, that could change pretty quickly. Singhs' treasured food truck exploded in popularity thanks to booze-fueled love from thousands of bar-goers on the strip, which lead to the opening of their first non-wheels location in August, making it easier for everyone to fulfill their Banh Mi craving. 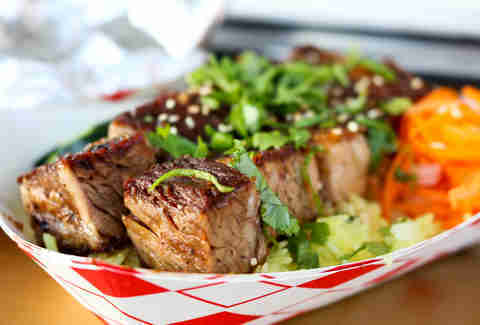 Offering juicy brisket, noodle bowls, and Banh Mi with any protein a meat lover might want (including said juicy brisket), Singhs is a fantastic stop for someone wanting delicious Vietnamese fare without too much fuss (or without dealing with revelers on the strip). Meat is the undisputed specialty and hero of the menu at Maverick, which goes beyond your typical grass-fed sirloin and New York strip to include dishes like Texas quail, crispy duck, and pork schnitzel; the delicate, melt-in-your-mouth quail is especially good. Though dinner's the obvious standout, you can get equally delicious (and more casual) plates during lunch. With its green velvet seats, posting up at the bar is like stepping back into the 1920s, and the accompanying drinks list is seasonal and well-selected (but be sure to ask the bartender if there isn’t a specific type of wine or beer on the menu, because sometimes they’ll have it anyway). Meadow, started by PJ and Lindsey Edwards, moved into a spot previously occupied by the Jason Dady restaurant Tre Enoteca. 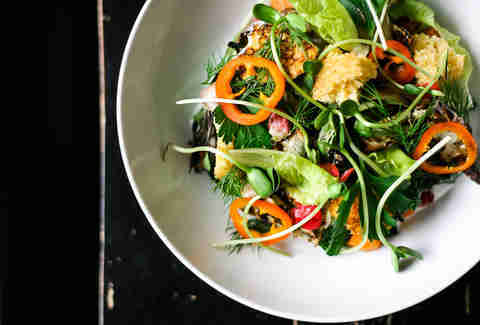 Serving up brunch, dinner, and a well-rounded happy hour, Meadow is a joy for comfort food lovers who like a little twist; the menu features seasonal Texas southern fare with a focus on local ingredients. Set back in the Alley on Bitters, with a large wood patio set amidst large tree, the location is perfect for a relaxing meal (or happy hour), without the loud hustle and bustle you might find elsewhere. Pinch is the Southeast Asian seafood restaurant we never knew we needed until we (thankfully) got it. Super-fresh, super-quick, and mouth-wateringly good, Pinch can deliver a pound of steaming crawfish, snow crab legs, shrimp, and mussels to you in minutes. 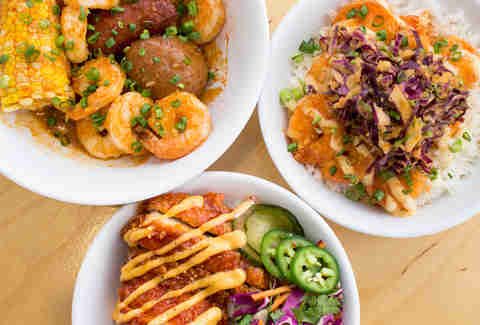 If you’re not in the mood for seafood, they also serve up banh mi with chicken and pork, a Korean buffalo chicken bowl, and a tofu bowl (for those of the vegan persuasion). To be clear though, you’re missing out if you’re not getting a seafood boil of your choice topped with dragon sauce and mild spice. The restaurant is casual and easy to find if you’re downtown (it’s about a block off the riverwalk), and as a bonus, they’ll soon start serving beer (though they’re BYOB for now). Georgina Buckley is a contributor to Thrillist.